On the heels of the revelation that Lauren Conrad will be leaving The Hills after this 5th season, is news that Audrina is planning to do the same! The 23 year old Hills star has teamed up with Mark Burnett (Survivor, The Apprentice) for a proposed new series will follow Patridge’s personal and professional life. The show will be shopped around to networks next week. Though MTV refuses to confirm anything, it is becoming more and more obvious that this will be the Hill’s final season. The other rumor is that Spencer Pratt and Heidi Montag will be getting their own newlywed type reality show on MTV (Yawns). 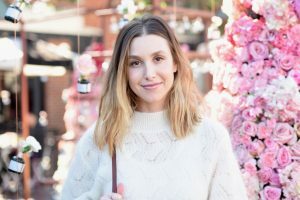 Guess if Whitney Port can get her own reality show, so can Audrina.